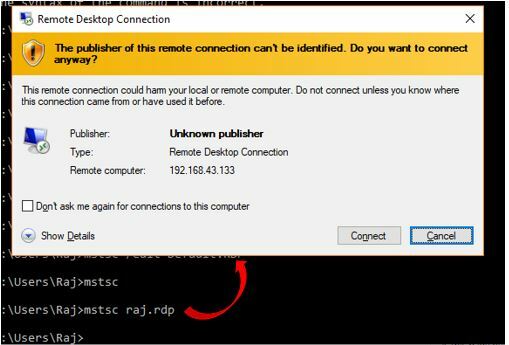 The MSTSC command is a shortcut way to access the Remote Desktop Protocol (RDP) using Command prompt on Windows. The full form of MSTSC is Microsoft Terminal Services Client. It works on all version of Windows whether it Windows 10, Windows 8, Windows 7 or XP. 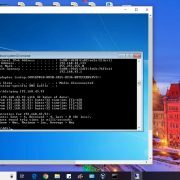 For those don’t know about the RDP, it is a tool comes with Windows operating system to connect and access other computer running on Windows remotely. You can access the RDP in different ways such as by navigating through the Windows Menu, use the RUN box or Command prompt. It all depends upon you, what is easy for you. 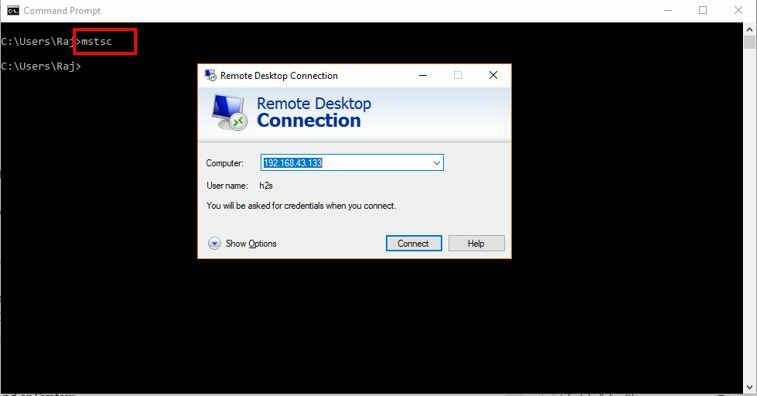 Here in the tutorial, we will let you know all common methods to access Remote Desktop Client service. The mstsc command is the command that let us access the Remote desktop service using the command line console i.e Command Prompt. To start RDP service from the command line just to the command prompt. You will see the RDP console. Enter the IP address to whom you want to connect and access the computer remotely. Further information about the mstsc command. We can use the MSTSC command with few parameters to run the Remote Desktop service over the command line more efficiently. Note: You can use the mstsc.exe or mstsc alone both works in a same way. Replace the connection file with .rdp file which creates when you use the Save As button from the General Tab from the Remote Desktop Console. Basically, it saves the connection settings and addresses in a file with an extension .rdp. So, in future when you want to access that particular connection again then just use the mstsc example.rdp replace the example.rdp with your file name. To specify the computer name which you want to connect along with the port number. To run Remote Desktop as Administrator you can run this command. Regardless of the performance optimization, if you want to run the Remote Desktop connection in full-screen mode then you can use this command as shown above. To run the Remote Desktop in a public to a avoid the cache of password and bitmaps. This command syntax will match the width and height with the local virtual desktop, spanning across multiple monitors if necessary. Now Type mstsc in it. And press the Enter button from the Keyboard. Easiest method to access the RDP. 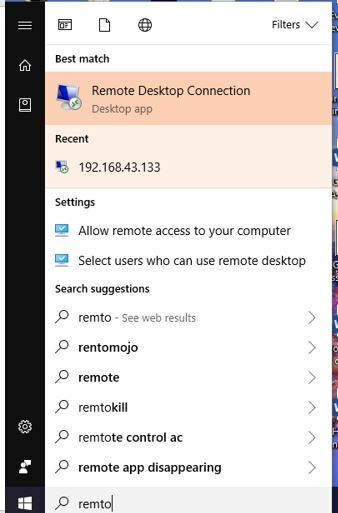 If you are on the graphical user interface of the Windows operating system then just type remote in the search box and click on it when appears.